the flavour of grain, the yellow colour of the sun and perfect resistance in cooking, made in more than 100 shapes designed to provide the maximum in taste for the most discerning consumers. Today, under the guidance of the Colussi family, Agnesi expresses the same values that have made them famous throughout the world. The story began in Pontedassio in 1824, and recounts nearly 200 years of experience and a love for pasta. 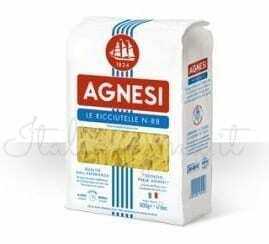 Agnesi is a high quality pasta with a thin layer’s thickness, a typical characteristic from Liguria region in the North West of Italy. 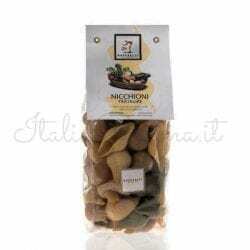 This feature is the ideal match with pesto, one of the most appreciated Italian pasta sauces worldwide. 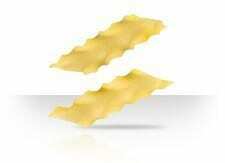 Agnesi guarantees a fair amount of proteins and a shorter cooking time compared to other types of pasta from southern Italy. For more information about Agnesi and recipes using their products, our Italia Regina Blog here!